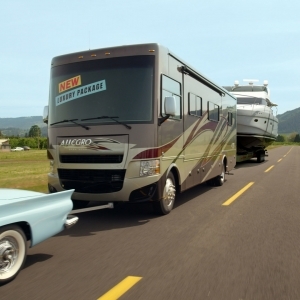 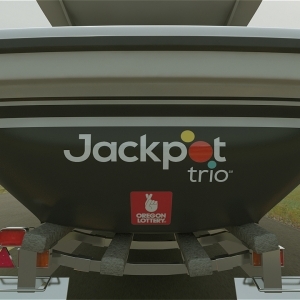 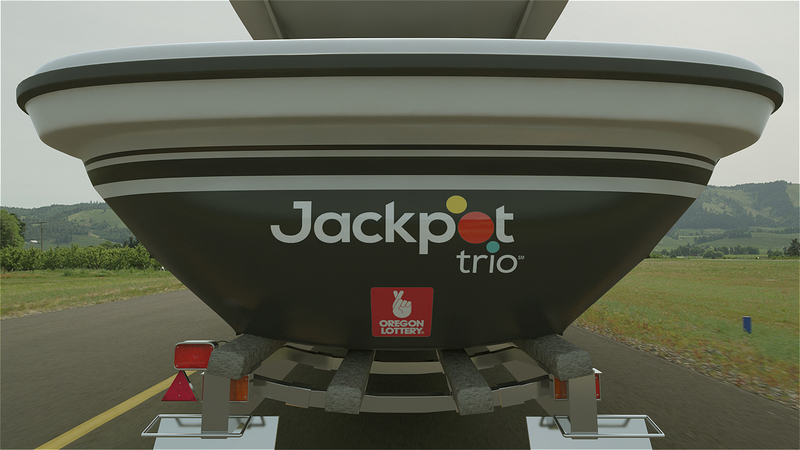 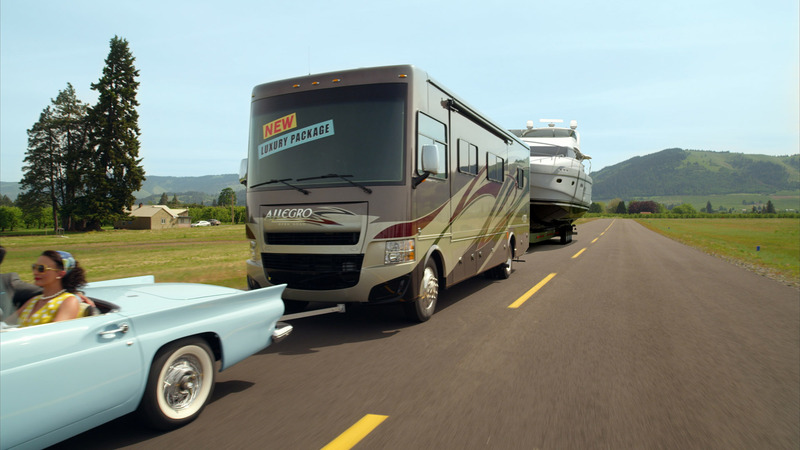 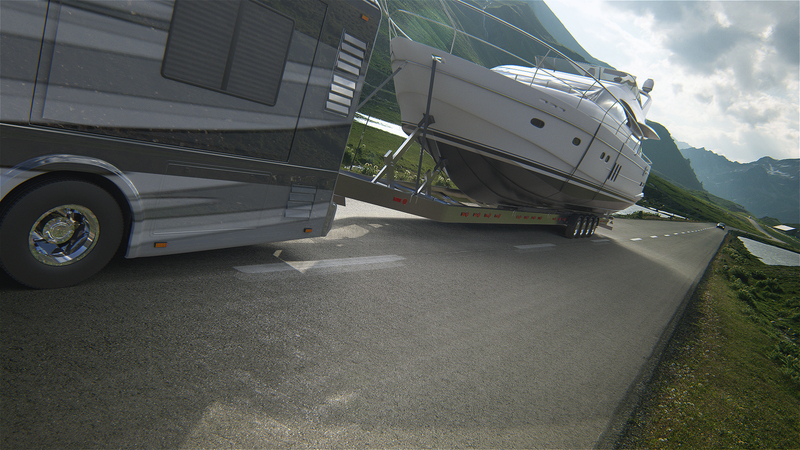 Early in pre-production, we provided pre-visualization of a CGI RV and yacht. 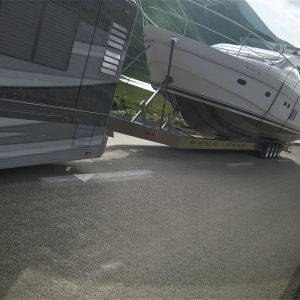 During the film shoot we photographed 360 HDRIs for lighting reflections. 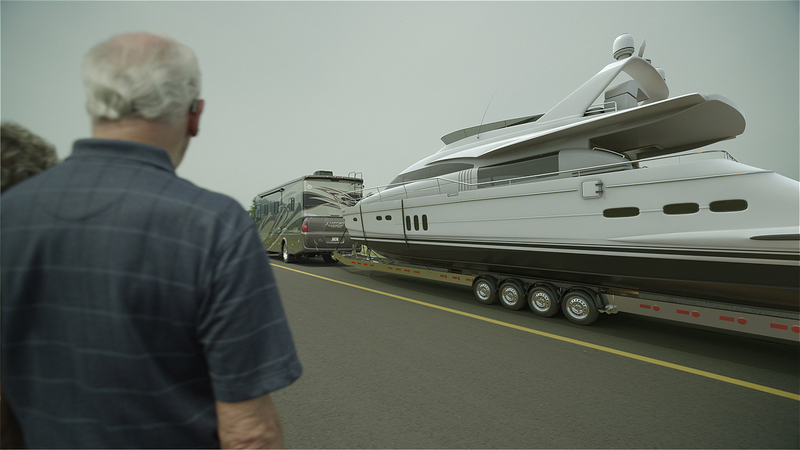 In post, are tasked were much more difficult than it would seem – it involved a complex camera track with no tracking markers, removing objects, replacing the license plate, rotoscoping, changing the road solid yellow lines to dashed line and finally animating, lighting and compositing the CGI trailer and yacht.